If you are a regular reader you will know by now that we love to read. We started reading to Blake from a young age which we thought was very important. The Little Boy Who Lost His Name which you can read about here. The Incredible Intergalactic Journey Home. 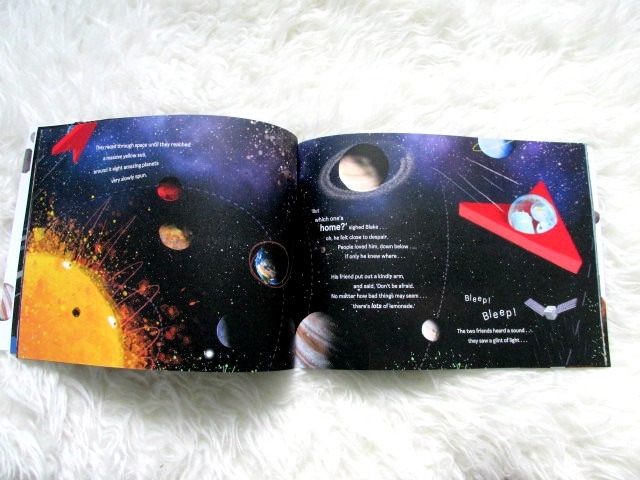 Its a cute little story that includes your child's name and also a map of where they live. the same hair color, skin tone etc as your child. - and a map of where your childs home is and door number. a fab keepsake for when your child is older. the book will keep your child's attention. the story is fun and engaging. if you don't have children yourself? This looks like a great book to read together - how much is it? That sounds like a fab book, might have to check that out for my daughter's birthday! This is great. I love the other name books in this series but this one seems even better. I need them to do a mermaid version. My daughter loves mermaids. This looks brilliant! My girls love stories that involve aliens and robots so I'll be checking this out. Thanks! Erin loves personalised books and always reads hers. It' also one that I tend to keep for her memory box.